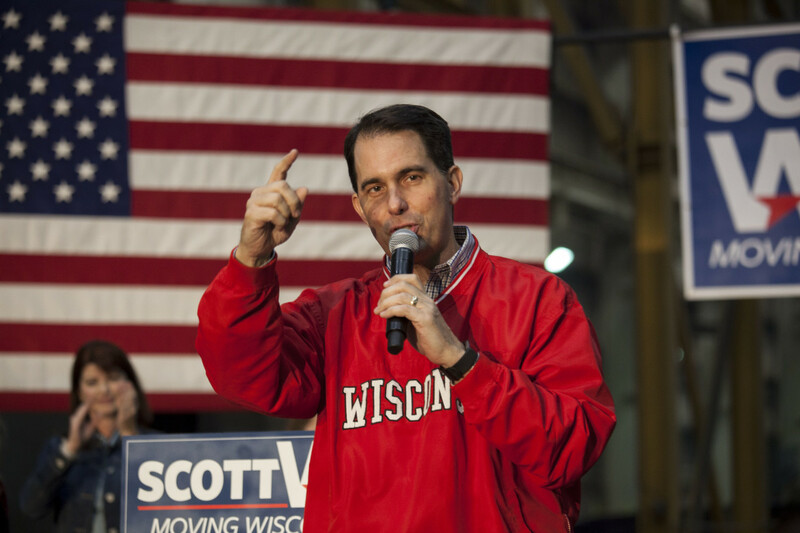 Wisconsin Governor Scott Walker speaks to supporters at a last-minute rally the night before the mid-term elections on November 5th, 2018, in Waukesha, Wisconsin. Walker narrowly lost his bid for re-election, and conceded to Democrat Tony Evers the day after the mid-terms. 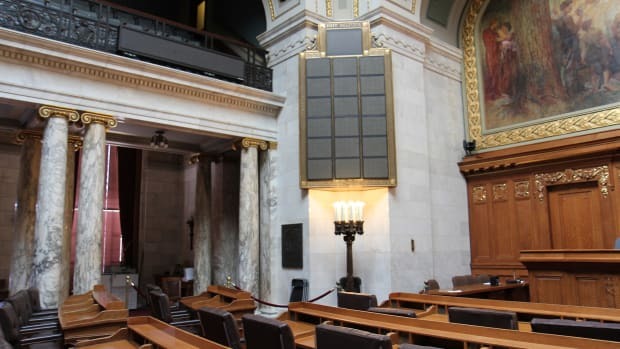 With Governor Scott Walker making his exit in January, Wisconsin Republicans have moved to reinforce a number of wish-list items on his conservative agenda, and, in a controversial lame-duck session last week, the state legislature passed bills aimed at limiting gubernatorial power. Among those bills was one requiring drug tests for recipients of the Supplemental Nutrition Assistance Program, which critics say will stigmatize and restrict the use of public benefits for thousands of poor Wisconsinites. 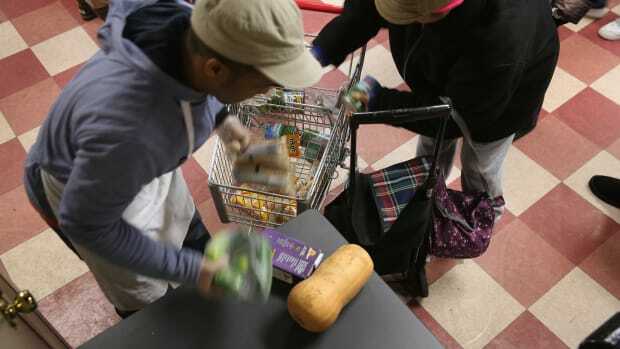 The legislation, which protects the governor&apos;s longstanding crusade against the state&apos;s SNAP program (known as FoodShare), will make it harder for Democratic successor Tony Evers to undo the overhaul, New Food Economy reports. Despite Walker&apos;s claims that they promote "self-sufficiency," these statewide drug tests come with a big price tag—and very few results. Other states that passed similar laws requiring drug tests for the Temporary Assistance for Needy Families program found few recipients actually tested positive for drugs; in Florida, only 2.6 percent failed the test. Even so, seven states spent a collective $1 million on drug testing for TANF in 2015, Think Progress found. Not only are the tests expensive, but they also violate United States Department of Agriculture policy—and, courts have found, the Constitution. After the American Civil Liberties Union argued against Florida&apos;s law, a judge in the U.S. Court of Appeals ruled that the "warrantless, suspicionless urinalysis drug testing ... offends the Fourth Amendment." At the forefront of this fight, Walker has long sought to limit public benefits for overtly political reasons: To this end, he&apos;s sued the USDA, petitioned then-president-elect Donald Trump, and passed a welfare package that expanded work requirements and effectively required drug testing, according to the Milwaukee Journal Sentinel. Despite this, USDA officials said in 2017, "the law absolutely does not allow" Walker&apos;s request. While these reforms have done little to increase employment in Wisconsin, they have forced more than 100,000 people out of public benefit programs since 2015—a nearly 20 percent decrease, according to the Washington Post. 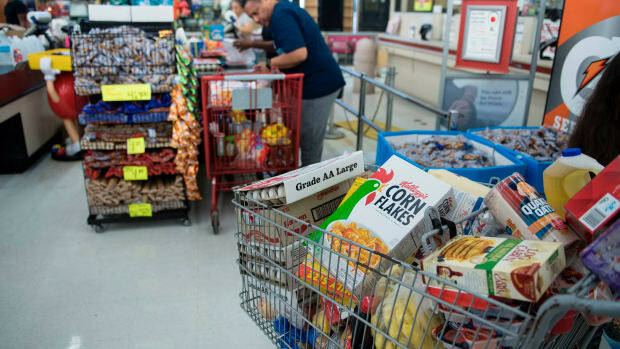 To learn what this means for the future of SNAP in Wisconsin, Pacific Standard spoke with Matthew Gritter, political science professor at Angelo State University and the author of Undeserving: SNAP Reform and Conceptions of the Deserving Poor. What kind of an impact will the drug testing requirement have on SNAP recipients? We talk about a hassle factor: It&apos;s one more step that you would have to go through in order to access benefits. So some people just wouldn&apos;t go through the process of getting drug tested; others might be kind of scared by that process. It also makes it more of a stigmatized program. For a long time, SNAP tried to present itself as a way in which deserving people can get assistance. There have been some states where they&apos;ve tried to recruit more elderly and disabled people in order to give the program a better image. Drug testing would create more of a stigma, and it would also make it more difficult to get on the program. One of the things that we found in states that have drug tested welfare recipients is that very few welfare recipients test positive, but it becomes very expensive to test them. So you&apos;re raising the overhead costs to the program—and SNAP traditionally has had a very low overhead and a pretty positive impact. So a lot of these reforms, coming from people that advocate small government, are actually making the program clunkier and more bureaucratic. Previous attempts tells us drug testing for benefits is not an effective reform. So why do it? It&apos;s a very easy issue to sell politically. "You shouldn&apos;t get public money if you can&apos;t pass a drug test" is an argument that would resonate even with more moderate people. It&apos;s a very good political talking point. And it does create this image of who a SNAP recipient is. If you look at who receives SNAP, it&apos;s a lot of elderly and disabled people, people with jobs, people with learning disabilities. It [includes the] working poor as well. [With] welfare policy in this country, we always talk about "deserving" and "undeserving" populations: children, the elderly, and the disabled are seen as "deserving," and then people who are able to work—or are seen as being able to work—are characterized as "undeserving." If you have to make sure [these populations] are working and being drug-tested, you&apos;re not creating an image of the "deserving poor." It does create this stigma. So even though other states have found that very few people actually fail the drug tests, this legislation could still deter those who aren&apos;t using drugs, but feel stigmatized? As for the legislation itself, when other states have tried to this with TANF, it&apos;s been ruled unconstitutional. What do you anticipate will happen here? I think there will be legal challenges. It will be interesting to see whether or not the Trump administration allows more flexibility. Traditionally, the USDA has not provided a lot of flexibility. Since SNAP is under the USDA [as opposed to TANF in the Department of Health and Human Services], it&apos;s been run in a much less ideological way. Attempts to dramatically change this program have really not been successful. Of course, in Wisconsin next month, they&apos;re getting a Democratic governor, so their politics will change. I think this piece of legislation was designed to put into effect some of the conservative changes and prevent some of them from being rolled back very quickly. It&apos;ll be interesting to see if this is a last gasp of an attempt to restrict SNAP, or if these ideas re-emerge in the next year or two. In many states you&apos;re going to have more Democratic legislators, more Democratic governors. The states have really been driving a lot of conservative policy ideas, so places where previously some of these changes have been put into place—Kansas, Michigan, Maine, Wisconsin—will be much [less receptive now]. What kind of response do you expect to see from the USDA? Historically the USDA has not allowed drug testing, and Walker has tried to use the [state&apos;s] work program as a workaround to allow it. 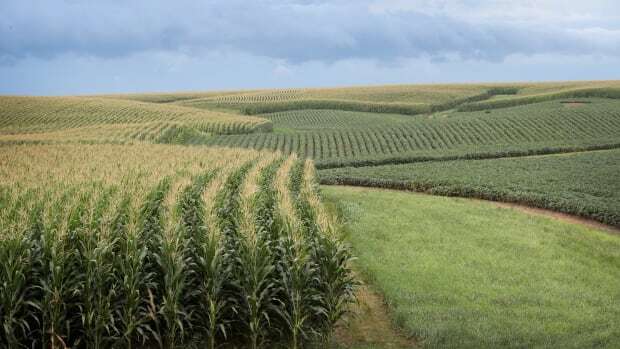 He was looking for an administrative way to accomplish his goal without actually getting into a head-to-head fight with the USDA. It is interesting that the USDA hasn&apos;t really changed its tune very much. [It has a] pretty similar policy on SNAP now as it did under the Obama administration. So one of the things that would be interesting is if in the next couple of years it does decide to allow more restrictions on SNAP. If that happens, do you think this case could go the way of, say, Florida, where a judge struck the TANF law down? It&apos;s possible. You could see rulings that it is unconstitutional to have this very intrusive practice. The courts will be a place where a lot of these policies are challenged. There&apos;s also the issue of money. These laws have cost states thousands of dollars. How does that factor in here? I think that&apos;s going to be a key factor, because one of the things that we&apos;ve often found in studies of other states that drug tested welfare recipients is they spent a very large amount of money conducting the test, and very few people ended up testing positive. That could be of a criticism of the program—something to organize around. What Will the New Farm Bill Mean for Key Programs Like SNAP? 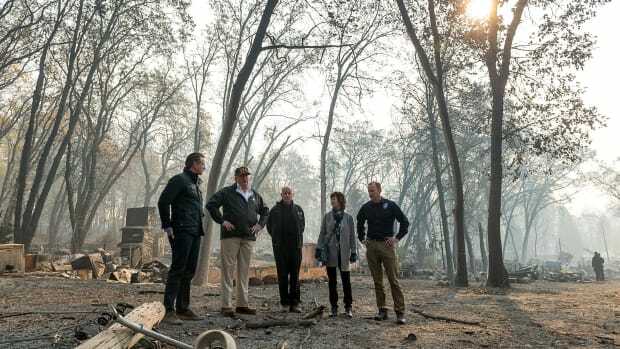 After a fierce partisan fight, Congress has reached an agreement on SNAP, forestry, and conservation programs. What Happens When States Require Welfare Recipients to Take Drug Tests? Looking for answers in the research.